>Here in Indiana we have a saying, “Don’t like the weather? Wait 5 minutes, it’ll change”. Well, this week that saying was in full force! On Saturday it was soooo nice! I went for a walk with just a light jacket on. Yes, in February, a light jacket. Almost unheard of in Indiana. Then, Sunday hit. Lots colder. Monday? Ice. Lots of ice followed by snow. By Tuesday morning my part of the city had picked up several inches. The only one in this house who really seemed happy about it was Miss Maci. That dog LOVES playing in the snow! Anyway, I sat in my living room for a bit watching the storm rage and couldn’t resist snapping a few pics. I love this little bird house! It was just a cheap paint-it-yourself job from a hobby store but I love how cute and cheerful it ended up being. It’s moved several times throughout the yard but it just may stay on the bench for a while. And these two are just my attempts at capturing the snow that was coming down. The one on the left was with a very slow shutter speed and the one on the right was with a fast. Both snow but both have a completely different feel to them. Which one do you like better? And, unfortunately, the weather person has been predicting snow and ice again. At this point we may be going to school until the end of June! 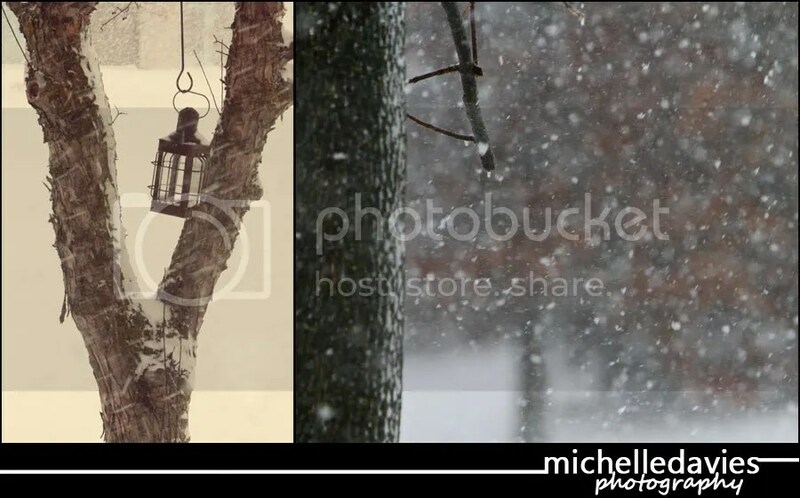 I don’t know about you but I’m ready for a change in the weather….a warm change!! >I don't think I could pick a favorite, they are both pretty cool shots! 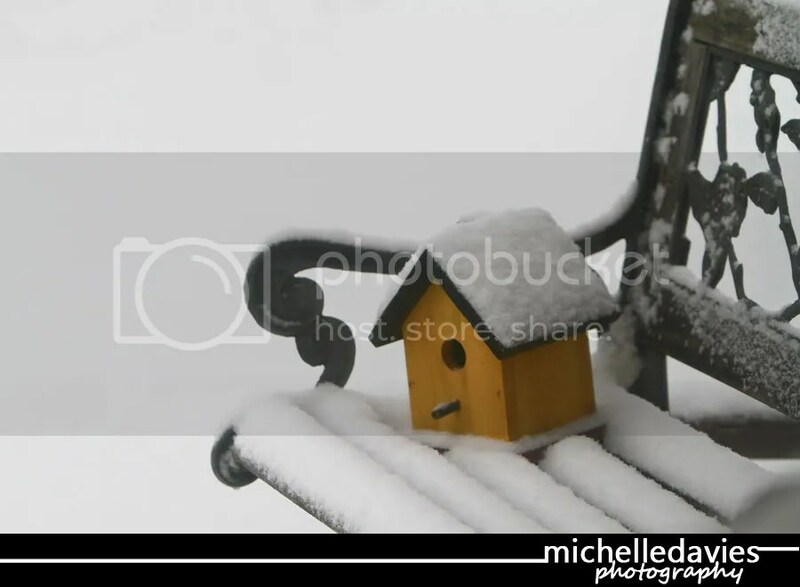 But I do have to say I love the bird house on the bench. >I love these winter shots. Beautiful!